Toronto divorce lawyer Rachel Radley has more than 13 years of family law experience. She has developed a reputation within the legal community for developing fair, reasonable, and enforceable settlements. Her approach has earned the appreciation of clients and the respect of opposing counsel. She is the managing partner of Radley Family Law and is a noted divorce lawyer in Toronto and the GTA. Before moving to private practice, Rachel spent more than nine years at the Family Responsibility Office (FRO) as supervising counsel for Eastern Ontario. While settlement is always the preferred route, agreements can not always be reached. In these instances, Ms. Radley has the experience to litigate your family law matter in court. 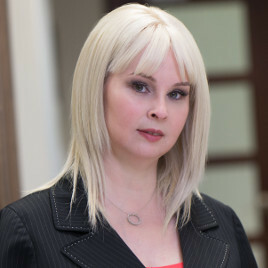 She has successfully represented family law clients at all court levels in Ontario including the Court of Justice, Superior Court of Justice, Divisional Court and the Court of Appeal. Radley Family Law is a leading Ontario divorce firm with expertise in a wide variety of matrimonial law issues, including divorce, spousal support, child support and custody, access, and protection. Rachel, and all the divorce lawyers at the firm, treat their clients with dignity, understanding and professionalism during this difficult period in their lives. Benefit from Rachel Radley’s experience, legal advice and guidance and emerge from the legal divorce process with a new lease on life. Toronto divorce lawyer Rachel Radley – Call her today at 905-669-2109 or email rachel.radley@radleylaw.ca.